In order to solve the problem of the poor wear resistance in conventional austenitic stainless steels, a new type austenitic stainless steel was designed based on Fe–Mn–Si–Cr–Ni shape memory alloys in this article. Studies on its wear resistance and wear mechanism have been carried out by comparison with that of AISI 321 stainless steel using friction wear tests, X-ray diffraction, scanning electron microscope. 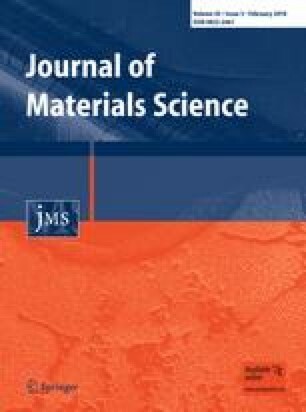 Results showed that the wear resistance of Fe–14Mn–5.5Si–12Cr–5Ni–0.10C alloy was better than that of AISI 321 stainless steel both in dry and oily friction conditions owing to the occurrence of the stress-induced γ → ε martensitic phase transformation during friction process. This article also compared the corrosion performance of the two stainless steels by testing the corrosion rate. Results showed that the corrosion rate of Fe–14Mn–5.5Si–12Cr–5Ni–0.10C alloy was notably lower in NaOH solution and higher in NaCl solution than that of AISI 321 stainless steel. The study was supported by the Program for New Century Excellent Talents in University (No. NCET-06-0793).